Clockwise from top left: Victoria Cross recipients Philip Eric Bent, Tommy Holmes, Christopher O’Kelly, George Mullin, George Pearkes, James Peter Robertson, Collin Barron, Cecil Kinross, Hugh McKenzie and Robert Shankland. The battle for the Belgian crossroads village of Passchendaele was one of the bloodiest battles of all time. Winston Churchill called it “a forlorn expenditure of valour and life without equal in futility.” The sad part is that it never would have happened if Canadian Lieutenant-General Sir Arthur Currie had been successful in having it called off. In just 12 days—from Oct. 26 to Nov. 6, 1917—the Canadian Corps suffered nearly 16,000 casualties, and all for a contemptible gain of 4 1/2 miles. Currie, the corps commander, had recommended the assault be called off because the battlefield was a quagmire; a mass of shell holes filled with suffocating yellow ooze that made it impossible to advance let alone build proper gun emplacements. He was convinced that any attack would be suicidal. Besides, he considered Passchendaele a useless, worthless objective—a wretchedly flat little Flemish village that offered not a single military vantage point. But Currie was overruled by the British commander, Sir Douglas Haig, whose strategy was to overwhelm enemy manpower with the expenditure of greater manpower. His thinking was that victory was to be achieved through sheer brute force, no matter what the cost in human lives. And so at dawn on Oct. 26, 20,000 men began inching their way across no man’s land in rain and mist, shell hole by muddy shell hole toward their objective. Adding to the soldiers’ difficulties was the fact that German planes had managed to bomb and strafe the supply areas, reducing the capability of the artillery. But before the bloody battle was over on Nov. 6, nine Canadian Victoria Crosses had been earned, four of them on the same day, two of them posthumously. Hinged to this horrific debacle were preliminary actions that occurred all down the line. One of these forays—on Oct. 1—produced a Canadian VC, and while this accomplishment perhaps should not be directly added to the Passchendaele Nine, it warrants being chronicled alongside them. The incident was the capture of Belgium’s Polygon Wood, a position the Germans tried to recapture two weeks later. At the time, Lieutenant-Colonel Philip Eric Bent was in command of the 9th Battalion, the Leicestershire Regiment which bore the brunt of the assault. At the outset, the Germans forced back Bent’s right flank and the situation soon became critical amid much confusion and intense artillery fire. Bent organized a counterattack after rallying a reserve platoon and a number of other soldiers from various companies. Charging forward in front of his men, he inspired them by shouting, “Come on the Tigers!” His actions won the day and secured the position, but during the charge he was cut down by enemy fire. His mother received his posthumous VC from King George V during an investiture at Buckingham Palace. Born in Halifax on Jan. 3, 1891, he moved with his family to Leicestershire, England, where he attended the Ashby-de-la-Zouch grammar school. On Oct. 2, 1914, he enlisted in the Royal Scots and later transferred to the Leicestershire Regt. where he received a commission and took command in the fall of 1916. On the first day of the Battle of Passchendaele, the right flank of the 4th Royal Canadian Mounted Rifles, (RCMRs), between Wallemollen and Bellevue was held up by machine-gun and rifle fire from a German pillbox as well as from machine-guns on either side of it. Private Tommy Holmes, a feisty 19-year-old from Owen Sound, Ont., was about to become the first Canadian to earn the VC in this notorious offensive. Wounded at Vimy, Holmes wore a perpetual grin on his face, and it was he who decided to take matters into his own hands. Holding a grenade in each hand, he dashed across the bullet-swept battlefield towards the nearest shell hole. While the German gunners reloaded their weapons, he raced to another mud-soaked hole approximately 15 yards away. He then began lobbing his two grenades with such precision that he knocked out both weapons and killed or wounded the gun crews. He then coolly ran back to where his comrades were sheltered. But he still wasn’t through. Arming himself with another grenade he raced out into no man’s land again, this time braving fire from the pillbox itself. However, none of the enemy’s bullets so much as grazed him. Dashing around behind the concrete emplacement, Holmes threw his grenade into the entrance at the back. There was a loud explosion and 19 German gunners—lucky enough to survive the blast—emerged with their hands up. Holmes’ daring assault allowed the RCMRs to continue their advance. Lieut. Robert Shankland had already been awarded the Distinguished Conduct Medal at Sanctuary Wood in 1916. Now, as an officer with the 43rd Bn., he distinguished himself even further, enough to be awarded the VC. On the morning of Oct. 26, he led his platoon of 40 men from Company D to the crest of the hill at the Bellevue Spur, the main trench line defending Passchendaele. Overrunning it and holding the position was critical to capturing the town. On the right, the 58th Bn., which was under heavy fire from Snipe Hill, was forced to retire after failing to reach its objective. Some of the men joined Shankland’s platoon, but this still left his right flank open. For four hours they withstood incessant artillery shelling and German counterattacks, sustaining frightful casualties. But by this time, the 8th Brigade on the left was forced to withdraw. This left both of Shankland’s flanks exposed. He and his men were in danger of being cut off and losing the vital position gained at such fearful cost. The only solution was to bring up reinforcements and counterattack. Shankland turned over his command to another officer and then weaved his way through heavy mud and German shelling to battalion headquarters where he gave a first-hand report of the situation. He also offered a detailed plan on how a counterattack with reinforcements could best be achieved. He then returned to his men to lead the forthcoming attack supported by reinforcements from the 52nd and 58th battalions. A Co. of the 52nd, under the command of another Winnipegger, Christopher O’Kelly, was ordered to go to Shankland’s aid. O’Kelly’s troops worked their way to the crest of the Bellevue Spur, where Shankland’s men were distracting the Germans with their fire. While sweeping the top of the hill in the face of enemy fire from pillboxes, O’Kelly’s men completely routed a German column they caught advancing towards Shankland’s position. O’Kelly then led his men against six pillboxes that were holding up the battalion’s advance. Under his aggressive leadership they overcame the concrete emplacements and captured 100 Germans. Later that afternoon, O’Kelly and his men had to entrench themselves to ward off a German counterattack. But the day wasn’t over. That night, O’Kelly took his men out on a sortie to capture an enemy raiding party. All told, in 18 hours his unit captured 284 prisoners and 21 machine-guns, a performance that earned him the VC, the third to be awarded in the Passchendaele fighting. By Oct. 30, the fifth day of the offensive, the Canadians were in a position to assault what was left of Passchendaele village. The 49th Bn. and the Princess Patricia’s Canadian Light Infantry, (PPCLI), were in the vanguard of the attack from Meetcheele Spur. Lieut. Hugh McKenzie, who was in charge of four guns of the 7th Canadian Machine Gun Corps, saw all the officers and non-commissioned officers of the PPCLI mowed down by machine-gun fire. The survivors of the unit could not advance, but they staunchly refused to retire and so stood their ground waiting for someone to take charge. McKenzie placed a corporal in charge of his guns and strode out onto the battleground to investigate. It quickly became obvious that a German pillbox atop a hill had inflicted the damage that was holding up the advance. Taking charge, McKenzie organized a few parties of the PPCLI to circle the flanks of the concrete stronghold and then attack it from the rear where the entrance was located. Leading one of the parties was Sergeant George Mullin. To draw fire away from the raiding parties, McKenzie led his group on a frontal attack directly up the slope leading to the pillbox. As they charged ahead they were met with deadly fire from the fort. Mullin rushed the stronghold head-on, blasting it with hand grenades. He then climbed on top of the emplacement and shot both machine-gunners dead. Ironically, McKenzie, charging up the hill, was killed by a bullet through the head. Mullin forced his way into the pillbox through the entrance and took the surviving occupants prisoner. Both McKenzie and Mullin were awarded VCs, the former posthumously. As soon as the assault on Passchendaele Ridge got started, the 49th Canadian Inf. Bn. came under severe artillery fire. However, it was the intense enemy machine-gun fire that stopped the advance. Pte. Cecil Kinross came to the conclusion that the only way to put an end to the machine-gun fire was to attack the nest head-on. He stripped off all his gear except for his rifle and cartridge belt, and then—in full view of the enemy—dashed toward the nest. Undaunted, Kinross charged into the emplacement and killed the six-man gun crew. He then seized the weapon and destroyed it. The action allowed his company to advance for 300 yards. Kinross continued fighting all day until he was wounded so severely he had to be evacuated from the battlefield. For his actions he was cited for the VC. Pearkes struggled to his feet and was able to drag himself forward. With some 50 troops, he reached the objective only to find that both flanks were dangerously exposed. The battalion on the left had failed to capture Source Farm and so his unit turned its attention to it and took it by storm. Pearkes then consolidated the position amid a ragged line of shell holes. And although his unit was reduced to fewer than 20 men, it managed to beat off a succession of German counterattacks until reinforcements arrived well after dark on the second day. By then, Pearkes, who was suffering from excruciating pain, was taken to a field hospital to have his leg looked at. For his gallantry, he was awarded the VC. By Nov. 6, one of the last pockets of resistance that prevented the complete Canadian occupation of Passchendaele village were a number of German machine-guns, and a pillbox located in a battered farmhouse known as Vine Cottage. The machine-guns were being used to control the approaches to the ruined house. Passchendaele village, by this time, was a burned-out skeleton of charred buildings and rubble-strewn streets. The Germans were using the stronghold to guard positions in and around the hamlet of Goudberg. As the number of casualties grew, the situation deteriorated into a standstill. To break the stalemate, Colin Barron, a corporal with the 3rd Canadian Inf. Bn., inched his way forward on his stomach until he was close enough to hurl several mills bombs into the machine-gun nest. Rushing forward he found he had killed most of the gun crew. He turned on the rest with his bayonet and took them prisoner. He then turned one of the captured guns on the fleeing enemy. This left his company free to smash its way into the house and capture the pillbox and proceed with the advance toward Goudberg. His actions earned him the VC. In another part of the village, a German machine-gun was systematically slaughtering members of the 27th Bn. at point blank range. A company commander asked for volunteers, and Pte. James Peter Robertson was one of the first to step forward and the very first to reach the gun. He charged forward into the open in the direct line of fire, ran around the flank, leapt over the barbed wire and killed four of the enemy gunners with his bayonet. When the rest tried to escape he turned the captured gun on them. Then, while carrying the machine-gun with him, he led a charge into Passchendaele. After returning to their own lines, the volunteers realized they had left two of their comrades behind, both of whom were wounded. Without waiting for orders, Robertson dashed out into no man’s land to rescue the men. He brought one of the wounded men back to his line, but when he went back to rescue the second he was hit by a bullet and fell. However, he did manage to bring the man back near his own line before a shell exploded instantly killing him. It was the second VC to be awarded posthumously during the offensive. The nine Canadian Passchendaele VC recipients are profiled in the order in which they earned their decorations. Holmes was born in Montreal on Oct. 14, 1898. His family moved to Owen Sound, Ont., in 1903 and he attended Ryerson School. In December 1915, he enlisted in the 147th Bn. and later transferred to the 4th Canadian Mounted Rifles, eventually attaining the rank of sergeant. He received his VC from King George V at Buckingham Palace on Dec. 31, 1918. Following the war, Holmes worked as a chauffeur for the Toronto Harbour Commission before ill health forced him to retire. He died Jan. 4, 1950. On Jan. 13, 1950, the Province of Ontario erected a plaque in his honour at Queen’s Park in Owen Sound. Shankland was born in Ayr, Scotland, on Oct. 10, 1887. He was the son of a railroad guard, and his first job was that of a clerk in the stationmaster’s office. He moved to Canada in 1910 where he worked as assistant cashier for the Crescent Creamery Company in Winnipeg. When war broke out he joined the 43rd Bn. as a private. He received his VC from King George V on Oct. 7, 1918. Following the war, Shankland served as secretary-manager for several Winnipeg firms. When WW II started, he re-enlisted and held the rank of major. However, because he was into his 50s he was too old for combat duty. In December 1940, he was appointed camp commandant of the Canadian Army Headquarters in England. In 1946, Shankland took his discharge and became secretary of a leading securities firm in Vancouver. He died Jan. 20, 1968, at Shaughnessy, Vancouver, and his body was cremated and his ashes scattered in the grounds of Mountain View Cemetery. O’Kelly was born in Winnipeg Nov. 18, 1895. When war broke out he was an undergraduate at St. John’s College and while still a student in 1916 joined the 144th Bn. He later transferred to the 52nd. Two months after earning the VC, he was promoted to captain. O’Kelly received the medal from King George V at Buckingham Palace on March 23, 1918. On April 14 he received a hero’s welcome from his fellow citizens in Winnipeg’s Columbus Hall during a reception organized by the Catholic Club. In 1921, O’Kelly, who had risen to the rank of major, rejoined the reorganized Winnipeg Rifles. On Nov. 15, 1922, he was accidentally drowned while canoeing near Lac Seul in Northern Ontario. His body was never found, but his regiment erected a wooden cross near Goose Island in his memory. In 1929, when a hydroelectric dam was built at Lower Ear Falls, Lac Seul rose by 16 feet—well above the height of the cross. Ten years later the cross was found drifting off shore. It was retrieved and given to the Legion branch in Ear Falls. On Nov. 14, 1965, a provincial plaque honouring O’Kelly was unveiled at the Legion branch in Red Lake, Ont. McKenzie was born in Liverpool, England, on Dec. 5, 1885, and received his education in Dundee, Scotland, where he worked for the railway. He moved to Canada in 1911 and lived in Ottawa where, in 1914, he joined the PPCLI. The following January he was promoted to corporal and later to sergeant. In August 1916, he transferred to the Canadian Machine Gun Co. and was promoted to sergeant-major. He was commissioned on Jan. 28, 1917. McKenzie has no known grave, but his name is inscribed on the Menin Gate Memorial at Ypres, Belgium. 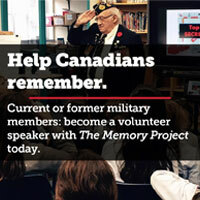 His VC and his service medals were destroyed when fire ripped through a relative’s house at Amherstburg, Ont., in 1955. His Distinguished Conduct Medal and Croix de Guerre were in the custody of his family in Scotland. Through the efforts of the Canadian War Museum, the destroyed medals were replaced and presented to the museum March 18, 1979. Mullin was born in Portland, Oregon, on Aug. 15, 1892. When he was two his parents moved to Moosomin, Sask. He attended the local public school and Moosomin Collegiate. In 1914, he joined the Canadian Army and became a gunner with the PPCLI. Mullin received his VC from King George V at Buckingham Palace on May 16, 1918. After the war he returned to Moosomin where he took up farming and joined the militia, attaining the rank of major. In 1934, Mullin was appointed sergeant-at-arms for the Province of Saskatchewan. He served in the Veterans Guard during WW II, and in June 1953 was among those representing Saskatchewan at the coronation of Queen Elizabeth II. He died April 5, 1963, at age 70 and was buried in the South Cemetery Legion Plot in Moosomin. Questions remain over the date of Kinross’s birth, but it is believed he may have been born at Hillend, Clackmannan, Scotland, on July 13, 1897. It is known that he attended Birmingham school before his family moved to Lougheed, Alta., where they began farming. In 1915, “Hoodoo” Kinross enlisted in the 51st Bn. He later transferred to Edmonton’s 49th. Two days after receiving his VC from King George V at Buckingham Palace on April 6, 1918, he was arrested by the military police while waiting for a train to Scotland. He was charged with illegally wearing the claret-coloured ribbon, but when he produced the medal itself from his pocket with his name inscribed on it there were red or claret-coloured faces and apologies all around. On June 23, 1919, Kinross returned to the family farm at Lougheed and several days later was given a hero’s welcome in Edmonton. He took up farming, but civilian life in no way changed his nonconformist attitude. In the summer of 1934, he entered hospital to have his tonsils removed but refused to take an anaesthetic. One winter when a friend needled him as to which act showed more courage—earning the VC or plunging into icy water—Kinross calmly stripped off his coat, walked to a hole in the ice and dived in. In 1956, however, he was on his best ceremonial behaviour when he attended the 100th anniversary of the founding of the VC in London. By this time he had become reclusive; he gave up farming and moved into a hotel in Lougheed where he lived by himself on his veteran’s pension. He died in his hotel room in June 1957. Kinross was given a military funeral that included an honour guard from Wainwright. He was buried in the Soldier’s Plot in Lougheed Cemetery. In 1951, a mountain in Jasper National Park was named after him. Pearkes, who was born Feb. 26, 1888, in Watford, England, was wounded in every major battle in which he participated. Educated at Berkhamsted School before coming to Canada, he joined the Bedfordshire Regt. as a bugle boy. Around 1911 he arrived in Red Deer, Alta., where he worked on a training farm. Two years later he joined the Northwest Mounted Police and in 1915 paid his way out for 50 dollars to join the 2nd Canadian Mounted Rifles. In France, he was granted a commission and earned rapid promotion to lieutenant-colonel and later major-general. In addition to the VC, which Pearkes received from King George V at Buckingham Palace on June 22, 1918, he was awarded the Military Cross, the Distinguished Service Order, the United States Order of Merit, the Order of the Knights of St. George and the French Croix de Guerre. After the war, from 1922 to 1933, Pearkes served as general staff officer at the Royal Military College in Kingston, Ont. From 1935 to 1938 he was director of military training. When WW II started he was given command of the First Canadian Division, and when Japan entered the war he became general officer commanding, Pacific Command. After WW II, Pearkes was elected Conservative member of Parliament for Nanaimo, B.C., and in 1957 became defence minister. In 1960, he was named British Columbia’s lieutenant-governor and served as grand president of The Royal Canadian Legion from 1966 to 1976. He died May 30, 1984, at the age of 96. Pearkes was given a full military funeral beginning at Christ Church Cathedral in Victoria. The funeral parade was led by 32 Mounties followed by units of the PPCLI, a 50-man guard from the Canadian Scottish Regt. and a black horse without a rider. At his burial he received a 15-gun salute. Legion branches in Summerside, P.E.I., and Princeton, B.C., are named after him. His VC was donated to the Canadian War Museum in 1994. Barron was born in Baldavie, Scotland, on Sept. 20, 1895. He moved to Canada in 1910 where he became a railroad worker in Toronto. When war broke out he joined the 3rd Bn. He received his VC from King George V at Buckingham Palace on April 6, 1918. During WW II he re-enlisted with the Royal Regt. of Canada. Following his discharge in 1945, he was employed at the Don Street Jail in Toronto. Barron died in Toronto on Aug. 15, 1959, and was buried in Prospect Cemetery. Robertson was born in Albion Mines, Pictou, N.S., on Oct. 26, 1883. Four years later his family moved to Springhill, N.S., where he received his education. In 1899, the Robertsons moved to Medicine Hat, Alta. Singing Pete—as he was known—joined the Canadian Pacific Railway where he worked his way up to engineer and earned his nickname for his cheerful singing and whistling whether in the cab or at the roadhouse. In 1915, he joined the 13th Canadian Mounted Rifles and later, while in England, transferred to the 27th Bn. The bravery that earned him the VC made him a legend among the Brotherhood of Locomotive Engineers the world over. During a postwar international convention in Cleveland, Ohio, 77,000 delegates rose to their feet to salute his gallantry. The delegates also voted unanimously to publish his photograph and story of sacrifice in The Locomotive Engineering Journal. Robertson is buried in Tyne Cot Commonwealth War Cemetery at Passchendaele. In Medicine Hat, the Legion branch is named after him as well as a swimming pool and a street.